PADI Master Instructor Sarah Wormald has recently released a guide book titled Diving in Indonesia; The Ultimate Guide to the World’s Best Dive Spots. The guide aims to provide comprehensive information on dive sites across Indonesia. The information on each region includes difficulty level, highlights, logistics, general area information, general diving information and detailed dive site descriptions. In addition to this the guide also includes important sections including conversation. Sarah was also an author on the guide book Diving in South East Asia; A Guide to the Best Dive Sites in Indonesia, Malaysia, The Philippines and Thailand. 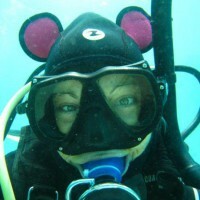 Originally from West Yorkshire in the UK, Sarah began diving in 1999 in the Red Sea in Egypt. After diving in locations across the world, she moved to Indonesia in 2007. 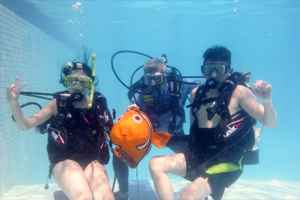 Since moving to the region Sarah became a PADI Instructor. When she is not teaching, Sarah spends her time exploring new sites and taking photos. In 2012, Sarah was also one of the 12 finalists in the Ocean Action Project conducted by the Project AWARE Foundation. Sarah is a PADI Master Instructor at Bali Scuba which is a PADI Five Star Career Development Center located in Sanur, Bali, Indonesia. To find out more about Sarah’s book visit Tuttle Publishing. To find out more on diving in Indonesia and to locate a PADI Dive Shop visit the PADI Vacation Spotlight on Indonesia.